HOW MANY mass tort leads ARE AVAILABLE ? We provide taxotere mass tort lead generation for attorneys seeking individuals who have been prescribed Taxotere (Dosetaxel) while being treated for cancer, and have suffered complications, specifically including hair loss, baldness, or alopecia. The most popular method attorneys choose when pursuing these claimants is from web-based forms. We have also generated high quality and exclusive leads from broadcast media platforms. We provide an exchange policy in our agreements that allow unqualified leads to be returned for another lead. To obtain an exchange, please email the details of the lead including reason for replacement. Typically, requests are granted the same day. All leads are exclusive to the purchasing law firm or attorney, not shared with other firms. This has always been our standard practice. The next method of lead generation for defective drug and defective medical device leads is television media and ready-to-go advertisements. This is based upon a pay-per-call platform in which the attorney pays for inbound calls that meet the specified filters. For more information, including sample leads, please contact us. Customization of leads also is available. Taxotere (docetaxel) is an injectable chemotherapy medication manufactured by Sanofi-Aventis. The FDA approved Taxotere in 1996. The drug generated more than $3 billion in sales in 2008, and became the most prescribed in its class in 2009. It has since lost its patent protection. Approximately 300,000 women are diagnosed with cancer every year. Although the drug has gained popularity as one of the primary treatment options for breast cancer, it is prescribed for lung, prostate, stomach, and head and neck cancer, pursuant to subsequent approvals. Taxotere in injected by way of IV typically every 3 weeks, and works by impeding the advancement of cancer cells. The advantage Taxotere presents is a decrease in the frequency of treatment compared to paclitaxel, another drug in the same class. Comparatively, paclitaxel requires weekly injections. Although it is a drug of higher convenience, some studies show paclitaxel is equally effective. Unfortunately, Taxotere can result in decreased blood cell counts, which further results in decreasing the body’s ability to fight infections and decreased blood clotting capability. The medication can also be harmful if exposed to the skin, such as during treatment. What many patients consider to be the most harmful complication linked to Taxotere is permanent hair loss, or alopecia. This has been labeled as a disfiguring side effect that, in many cases, has lasted for a decade or longer. Patients have experienced metal anguish, depression and distress, and decreased quality of life from the negative body image effectuated from the permanent hair loss. Now, breast cancer patients who took Taxotere are filing claims against Sanofi for failure to warn actions. Claimants say the company knew of the severe and life-changing complications, but failed to disclose the fact that a permanent and toxic side effect was a measureable possibility. Not to mention, evidence strongly suggests plaintiff’s may be correct regarding the manufacturer’s knowledge of the long-term disfiguring complication. And they have a good argument . . .
You see, European-based health organizations were made aware alopecia’s association with Taxotere in 2005, and Canadian patients became aware as far back as 2015. Meanwhile, Sanofi alerted the FDA in December of 2015. Reasons for the delay are not clear. Hopefully more answers are made available as MDL 2740 has been approved in the United States District Court for Eastern District of Louisiana. The first woman to file a claim against Sanofi for permanent hair loss was Ami Dodson. She had a partial mastectomy following detection of a breast tumor that was discovered from a biopsy in early 2010. As part of her cancer treatment, Ms. Dodson took Taxotere. Unfortunately, neither she nor her doctor had knowledge of the permanent hair loss she would endure. Alopecia is an expected side effect with chemotherapy treatment, and attacking cancer cells in general. However, Taxotere has alternatives that have less severe side effects. Thus, with no warning comes no preparation for the unexpected and debilitating complications that follow. And, that prevents the opportunity for a patient to make an informed choice, an important aspect every patient deserves. Many cancer patients do not want to live the rest of their lives with the constant reminder of the life threatening struggle they faced while battling the often fatal disease. The emotional, physical, and financial toll these women faced gets extended for years after the battle against cancer should have been won. 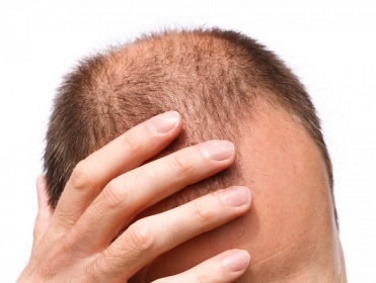 There have been two studies often cited regarding Taxotere and its association with permanent hair loss, or alopecia. GEICAM 9805 is the first, which was sponsored by Sanofi in 2005 and conducted by a Spanish non-profit scientific organization. The study revealed that 2% of female cancer patients who consumed the medication endured permanent alopecia. Some hair loss cases lasted as long as 10 years following chemotherapy. The study was published in The New England Journal of Medicine. Lawsuits have been filed by patients who witnessed alopecia (permanent hair loss) while using Taxotere for chemotherapy, based upon the premise that Defendant Sanofi-Aventis was aware of the risk of hair loss, yet did not disclose the warning until December 2015 when the FDA approved the disclosure on labels. Studies have pointed towards Sanofi to being aware that 3% of patients who were administered the drug experience alopecia. Notably, the warning labels strategically stated that hair “generally grows back” after the conclusion of chemotherapy treatment. That is disturbing seeing how the drug label was updated in 2005 within Europe, was updated in 2012 in Canada, and not given to American-based patients until late 2015. On Monday, October 24, 2016,an order was obtained from the Multidistrict Litigation Panel that transferred civil lawsuits related to Taxotere to the Eastern District of Louisiana. The Honorable Judge Lance M. Africkwas listed as the judge assigned MDL – 2740 for pretrial proceedings, stating it is his first MDL. At the time of the transfer order, the MDL was based upon thirty-three cases from sixteen districts. Interestingly, the panel was made aware of fifty-six related cases pending in twenty-five districts. An MDL will prevent duplicate discovery, inconsistent pretrial judgments, and preserve the all parties, including the court’s, resources. November 17, 2016: The Honorable Judge Engelhardtissued Pretrial Order No. 2 that appointed Plaintiff’s Liaison Counsel. It includes Dawn Barrios of Barrios,Kingsdorf & Casteix, LLP, and Palmer Lambert of Gainsburgh Benjamin David Meunier & Warshauer, LLC. Both firms are based in New Orleans, Louisiana.